Are you planning to start creating webinars for your business? Do you want to know the benefits of webinars for your business before you start? Well, webinars are taking over the digital content marketing by storm. Commonly known as web conferencing, it is a service that all multicast video or audio conferencing to occur even when the participants are from different locations. Using online technologies like TCP/IP, webinars have been made possible. Most companies consider webinars as the next big thing in the marketing industry because it offers interaction with guests and real-time connectivity. 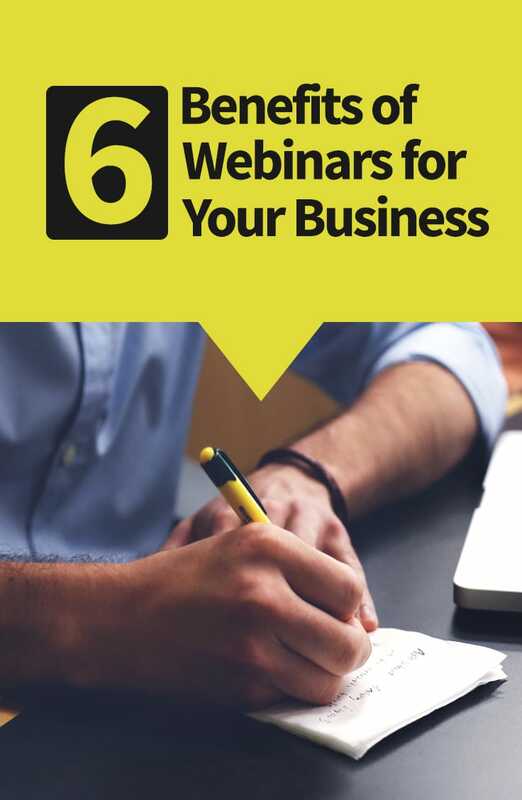 If you are planning to start a webinar to promote your company here are some of the amazing benefits of webinars for your business you need to know. Webinars will allow you to build trust by putting the real face of your business in front of the audience. You will be able to showcase the following aspects of your business. You will be able to interact with your audience and show them the value you can deliver through your products and services. In the webinars, you will not only invite your customers but also some of the top industry leaders, startups and entrepreneurs. If they know about your business, they might show interest in having a partnership with you. It will also help you to build a strong relationship and networks in the industry that will be helpful for you in the long-run. You will be able to let your prospects know about your business at a deeper level. There is a special question and answer session in all webinars where your customers and guests will ask a various question about your products and services. If you will pay closer attention you will notice that these questions are related to what your customers want. It will allow you to understand your customers better and you will be able to deliver the services that they want. If you are delivering high-quality content through your webinars it will get easier for you to promote your business. People will trust what you say. It will allow you to increase sales pitch presentation. It will allow you to get more exposure for your business. Every time you will arrange a new webinar for the audience you will notice that your number of guests will increase. One of the best benefits of webinars for your business is that it is the most cost-effective marketing tool. All you need is a smart device and a strong WiFi connection and you can convey the message that you want. There is no need to book an entire conference hall for the services or pay for lunch/dinner of your audience. Once you notice that your guests are increasing you can generate some extra money from your webinar. All you need to do is record the webinars and make them available on your website at an affordable cost. Only to relive the moment or share your wisdom with others there are many customers who will surely buy your webinars. Assure that your webinar is well-thought out and properly planned because that is the only way you can answer all the questions of your customers. It will allow you to deliver value and increase the credibility of your business. It is a perfect marketing tool to increase your sales and revenue. ← Why Deep Linking Affiliate Marketing Campaigns Increase Sales.